Topakustik panels can be bent to any shape and size for your project? There are absolutely no boundaries to the vast array of designs. Located within the Downtown Core, lies a new, fresh vibrant looking building fit for the 21st century and modernisation of buildings. A combination of green architecture integrated with other unique elements makes this 3.67 million square feet sits by Central Boulevard and Strait View. Presenting Marina One by Temasek Holdings, a mixed development building combining residential, commercial spaces along with an auditorium. 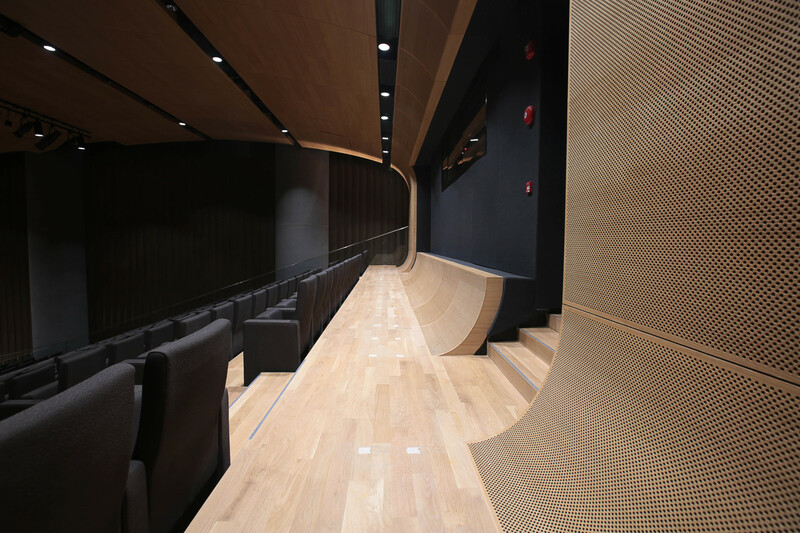 Soundzipper LLP was summoned under D’Perception a full suite interior design service to provide their acoustic expertise to a 400 seater auditorium in the East Tower. 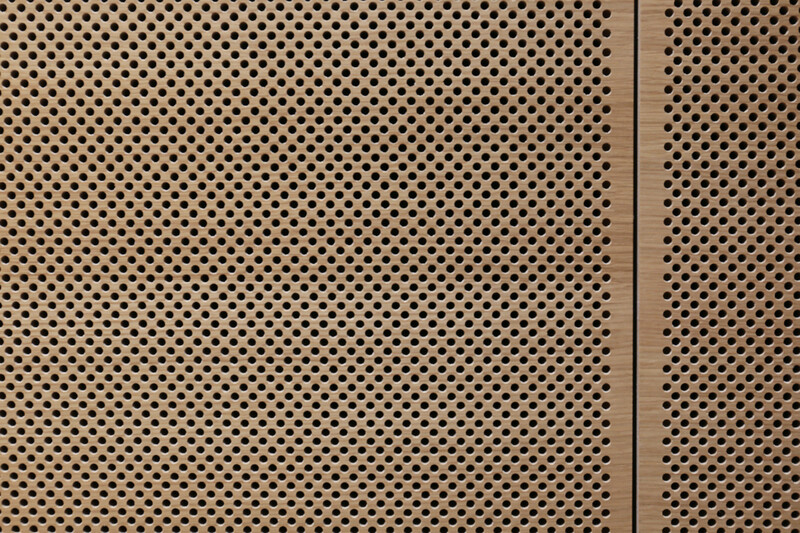 Our task was to supply Topakustik Swiss made panels M16/8/8 with Oak finish to be retrofitted in the auditorium. This was in addition to the acoustic advise, shop drawings and product specifications that was provided by our consultants Alex and Mazlina. 1. We had to manage the quality control and a perfect fit! The project required a significant amount of changes and a change in finishes and materials resulted in a delay for the product. However, since communication just like in any relationship is key. We required the exact measurements of the auditorium as the lead time for the panels to arrive were 10 weeks via ship freight. 2. 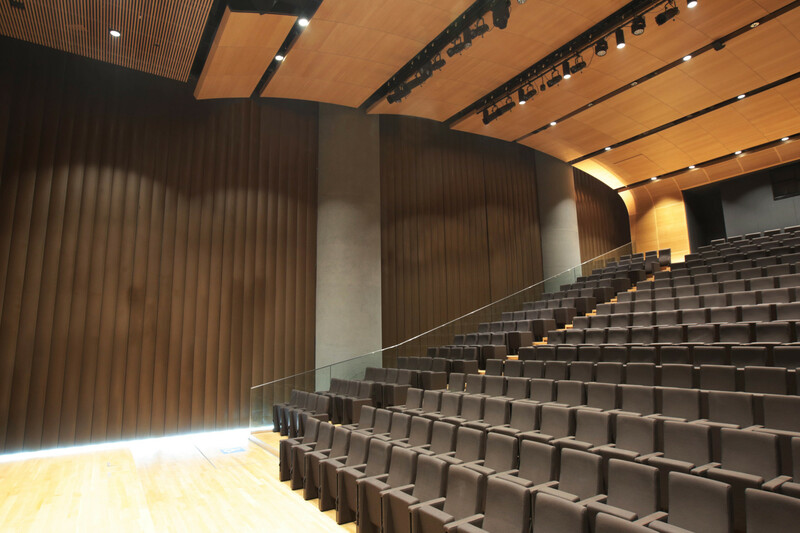 Another key feature in this auditorium was the rear wall of the auditorium as it had to be curved in design because of its need to be perforations and edge termination details. The initial design had some problems as it covered our speakers. This would impede and drastically affect the sound in our room. Our suggestion was to leave the speakers open while we suggested certain design changes that would affect the quality of the room. Close up view on the separation of the control room and the main auditorium, take note of how we integrated both features together. 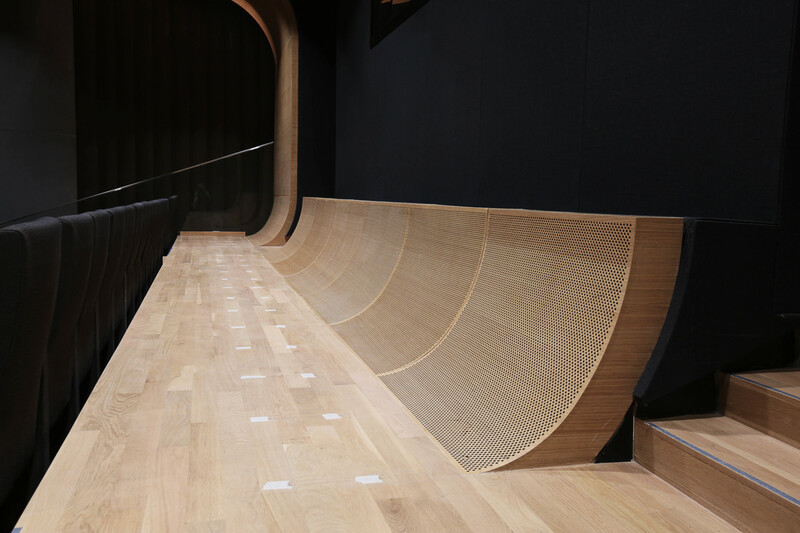 If you would like to know more about Swiss made Topakustik products, you can click here to find out more or if you are looking for acoustic and soundproof treatment in auditoriums, you can check this out.